Newhaven Fort, Fort Road Newhaven, East Sussex. BN9 9DS. Performance and sound installation with modified, luminous sitars, radios and explosive visuals. 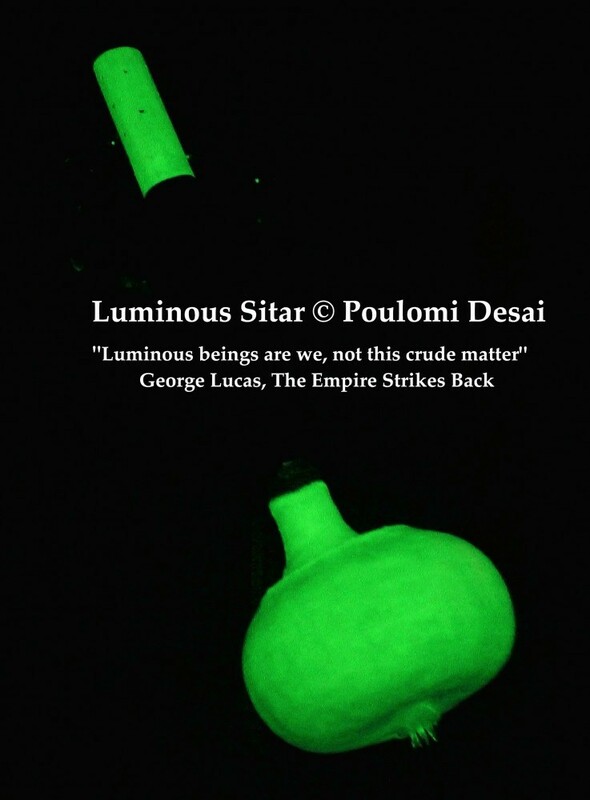 Poulomi Desai recreates broken/found/discarded sitars into contemporary expressions for the sitar sound that many consider to be transcendental and illuminating. For Fort Process, she has created the physical embodiment of “light in the darkness”, a performance with luminous sitars (inspired by Hayley Newman’s seminal performance in 1996 “Shot in the Dark”), and will be transforming a gun emplacement facing the English Channel into a “Shrine for a Fearful Malady”. Her sitars will become “singing sirens” – a tribute to the remarkable engineering history of the fort, a funeral dirge for the First World War remembrances and a lament for “mankind’s” continual lust for war and invasion. There will be frankincense to heal, loudhailers to warn and bells to symbolise and remind us that “prakriti” (reality) has three stages of evolution, “srishti”, “sthiti” and “laya”. “In Zurich in 1915, losing interest in the slaughterhouse of the world war, we turned to the Fine Arts. While the thunder of the batteries rumbled in the distance, we pasted, we recited, we versified, we sang with all our soul, we searched for an elementary art that would, we thought, save mankind from the furious folly of these times.” Hans Jean Arp. Big thanks to Lost Property for organising this amazing festival.